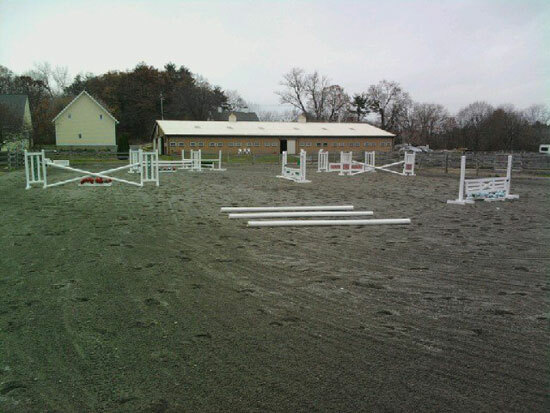 Two years ago at October Farm, we as boarders and trainers alike were all faced with the overwhelming and somewhat devastating fact that we were going to have to move from our beautiful facility in Wrentham because the land being sold to developers. We decided to stick together as a unit and thus began the monumental effort to not only find a place to go, but move about 20 horses comfortably and safely, along with all the “stuff” we had gathered over the years. Having all of our horses on SmartPaks made the move just a little easier knowing that one of the most important things—our horses’ health—wouldn’t have to be worried about! We let SmartPak know when and where we would be moving and it was as simple as that. Our horses all settled in nicely and their dinner was ready for them, as well as a package at the door—our SmartPaks! At the end of October we are moving AGAIN this time to a smaller facility in Plainville, MA, that will accommodate our little group perfectly. We are all the best of friends and never want to part from each other’s company, and even though once again packing and moving will be stressful, at least we know that we can easily and quickly get our SmartPaks, as well as anything else we need to decorate our new barn, delivered right to the front door! Right now there are 16 horses total at the farm and they all use SmartPak supplements. Our biggest success story with SmartPaks is Ben (above). 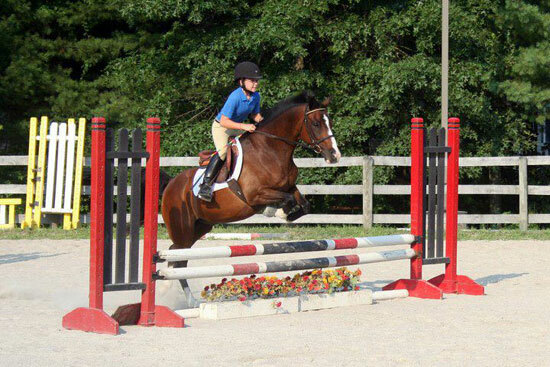 Ben’s a 23-year-old OTTB owned by Rena Desmond. About eight months ago, he started losing a lot of weight and acting super lethargic; he just didn’t want to work, which was very out of character for him. Rena tried a lot of different avenues, and he was getting plenty of grain, alfalfa cubes, and his regular supplements. It wasn’t until about two months ago that someone suggested testing him for a vitamin E deficiency—something none of us had ever thought about. Turns out his levels were low! 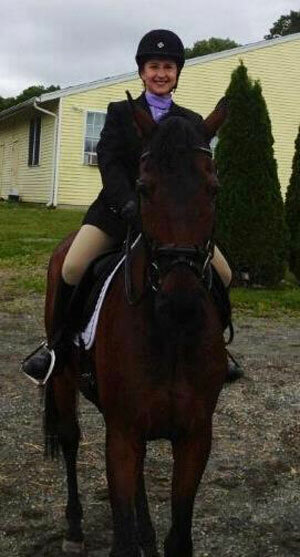 He now gets SmartPak’s Natural Vitamin E daily, and he has been feeling amazing. It’s crazy to think that’s all that it took, especially seeing that Rena was actually considering retiring him. 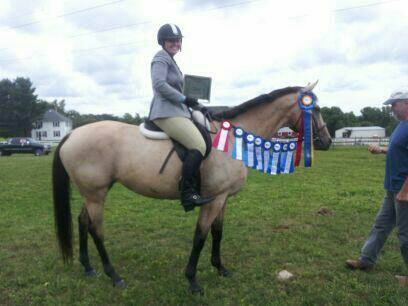 Rena is pictured on him here at her first show, where she and Ben took reserve champion in the adult flat division! Winston and Jack are two of our school ponies. They do A LOT of lessons, and after seeing some out of character sourness from both of them, Jill started feeding them both SmartGut. They’ve both been on it for over a year now and their attitude change alone has been remarkable. The product definitely works, and Jill swears by it. 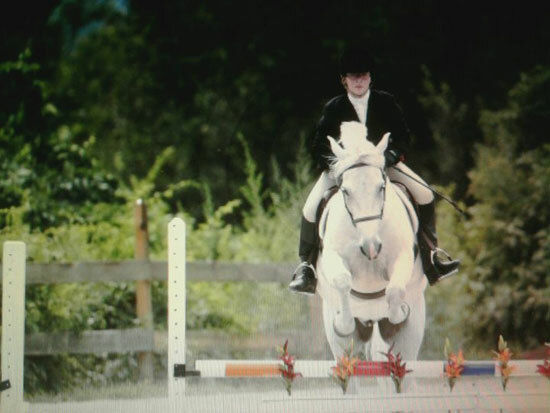 I show my horse Shy in the hunter ring. I decided that if I was going to bring a flashy colored horse into the hunter ring – she better be shinning in all the right areas. I started feeding her Grand Coat at the beginning of this year and I love it. Her dun color pops and shines, and her tail has literally grown about five inches. I tell everyone at the barn who has horses with has tail growth issues to try it. It’s definitely worth it, and more importantly, she actually eats it!